It seems that the idea of visiting a dentist has become a daunting idea for some. This is true for at least 150 million people in United States that doesn’t have a dental coverage in their insurance. They ignore the fact that oral health plays a crucial role in keeping your body healthy, as a whole. The number of people who doesn’t have a dental insurance in US triples the number of people without health insurance. This is a concerning matter that needs to be resolve, and we highly encourage people to have a nationwide dental insurance for several reasons. Why must it a nationwide dental insurance? The reason is fairly simple. We never know when we are going to travel between States, and having this kind of insurance will ensure that everything will be taken care of, no matter what State you are currently at. There are several things you need to consider before you pick the nationwide dental insurance or any other dental insurance type. 5. A legitimate plan won’t charge you for asking information by mail. 6. Make sure they have a comprehensive site that offers their service description, especially the list of participating dentists. 7. Try to ask some time to consider. Usually fraud insurance will tell that they only have a few spots remaining in the plan, or the offer is limited. 8. Check their affiliation. One of the most popular affiliations would be the National Association of Dental Plans (NADP), which cover around 65% of the dental insurance companies. Check for its credibility from Google. To complete this post, we are going to give you some of the big players in the industry. 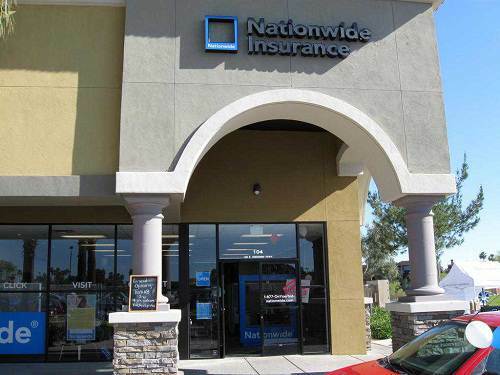 These insurance companies offer a nationwide dental insurance. But make sure you mention that you want to have a nationwide dental insurance so that they can offer the list of possible plans. The latest number of affiliated dentists in the preferred network access insurance is around 66,000 nationwide. This is by far the largest one available if you are seeing it from the nationwide dentist number alone. Aetna is a reputable insurance company that has gained a lot of positive feedback. This company is affiliated with more than 64,000 dentists across the states. They offer various dental plans with reasonable price. Both of its individual and family plans are good. The third insurance provider that has a large number of affiliated dentists nationwide is this Uni_Care 2000. Around 11,000 doctors are available across the country. The provider is known for their dental insurance family plans. With nearly 10 thousands of dental care professionals affiliated accross the nation, the GE Wellness Plan excels in their prescription coverage. Although the Patriot Plan doesn’t have as much as affiliated dentists as the other option, this one offers a very interesting annual coverage. It’s cheap and fairly good. So which one is the best nationwide dental insurance provider? It all depends on your financial situations and your needs. Make sure to check through their entire plan offerings. Posted by mimin on July 31, 2018 at 5:39 am under Dental Insurance. Comments Off on Choosing The Best Nationwide Dental Insurance.